Chris was born and raised in Arizona and has lived in the Phoenix Valley since 2003. 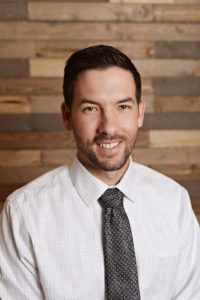 Chris earned his real estate license in November 2005, and has ambitiously focused his career specifically on Residential Property Management ever since. In October, 2014 Chris went back to school and obtained his Broker’s license. He is also an active member of NARPM (National Association of Residential Property Managers) and attends regular classes and training specifically for Property Management. Chris has an instinctive ability to lead and oversee multiple tasks simultaneously including managing and facilitating ongoing internal training and office organization to maintain the highest level of compliance ranging from property management to real estate transactions. Since his joining the company, Brewer & Stratton has experienced explosive growth. 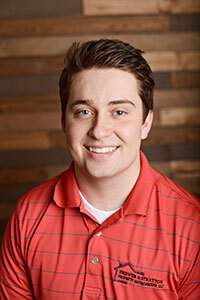 Chris possesses a discerning passion for serving others as evidenced in bearing the daunting title of Designated Broker. His conspicuous attention to detail and relentless aspiration for perfection was further made evident in making the Arizona Department of Real Estates Audit Honor Role in 2015. Chris enjoys spending time with his wife and 3 daughters, who keep him on his toes. When not at work, he can be found vacationing, with his family, in the mountains, on the beach, or at the lake. Janna spent most of her life growing up in the state of Ohio. 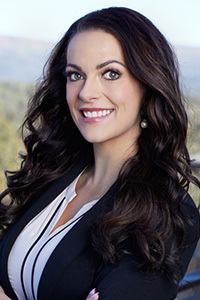 After relocating to Arizona in 2007, she was introduced to the world of Real Estate. 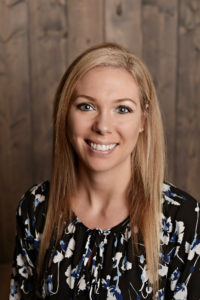 Following in the footsteps of her late uncle, alongside her father and aunt acquired her real estate license in 2008 and has concentrated distinctly in property management ever since. Janna’s uncomparable virtuosity considers both unfurnished & furnished vacation rentals. Her innate passion for helping people find their dream homes, while helping owners maximize returns is perceived through her unceasing work ethic and raving customers. 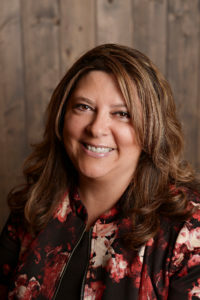 Janna has successfully placed hundreds of delighted tenants and has established long-term positive relationships with many returning winter visitors. Janna’s ambitious and optimistic personality provides all who come into contact with her an unparalleled level of comfort and confidence. When she is not working she enjoys spending time with her husband and 3 beautiful daughters, playing kickball, hiking, paddle boarding, yoga, anything active, and having fun. Kayla is a Rim Country native and grew up in the mountains of the Mogollon Rim in Arizona. Raised in a real estate family, Kayla obtained her real estate license right out of high school. People describe her as a highly motivated individual with extensive real estate knowledge, including current market analysis and trends. Always striving to learn, Kayla often takes courses to help sharpen her skills to best serve her clients. Kayla is also actively involved in local groups such as Parks and Recreation and Fire Angels and during her free time you can find her with her two daughters hiking or exploring outside. 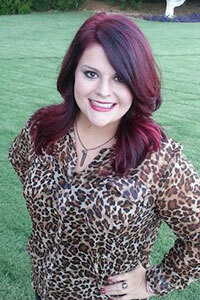 Kayla is one of the 2,500 Realtors nationwide to obtain her Certified Negotiation Expert (CNE) certification. By obtaining this recognition, she is able to negotiate the best deal possible for her clients and truly assist them in finding their dream home or assisting owners with a carefree approach to investing. 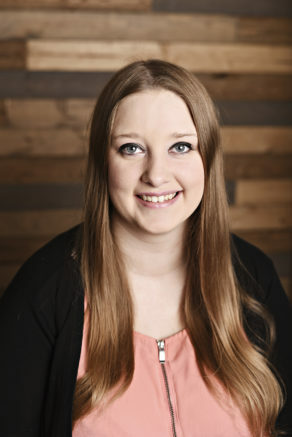 Kayla has an extensive background in property management and is a third generation Realtor focusing on investments. She prides herself on providing excellent customer service skills and is excited for the opportunity to work with Brewer and Stratton Property Management. AJ grew up in Virginia. 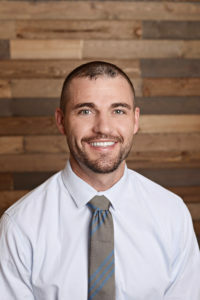 After relocating to Arizona and starting a beautiful family, he earned his real estate license in 2009 and jumped right into Property Management. AJ is one of the most passionate people you will ever meet. 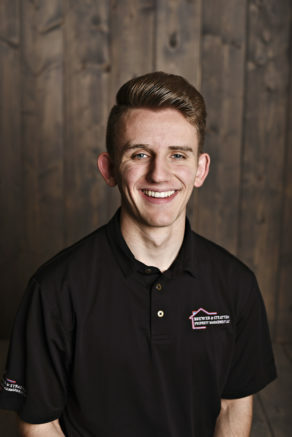 AJ has a consuming talent in helping owners and tenants make sound decisions as evidenced through his capacity to effectively manage properties while maintaining a phenomenal occupancy rate. AJ has an inherent ability to lead and help those around him succeed. AJ’s skills have catapulted his success in the property management industry. AJ has helped improve internal training, while significantly surpassing customer satisfaction. He loves interacting with people and helping individuals looking for a place to call home, while equally helping owners make sound decisions when placing new tenants all while maximizing the return on the investment. AJ has a keen understanding in maximizing property performance as evidenced by his portfolio. He thoroughly enjoys interacting with people while concentrating on customer service to enhance the experience for both owners and tenants. When AJ isn’t working he is spending time with his beautiful wife Kayla, and has two handsome boys Preston & Peyton. AJ enjoys weightlifting, dirt biking, football, golf, hunting, camping, and anything outdoors. Kevin has been involved in many career fields through out his life. Starting in the Navy in 1978 then transitioning into engineering while working in the semi-conductor industry. Kevin’s wide variety of experience ranges from Intel, Lam Research and Los Alamos National Labs. After over 15 years in the engineering industry he altered his focus in life and pursued a degree in Selected Studies in Education. 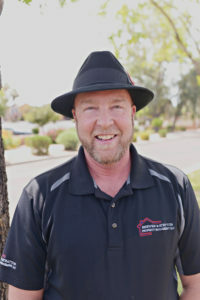 Kevin used his degree to teach Mesa and Chandler school districts. In 2012 Kevin married the love of his live Stacy. Shortly after, Kevin discovered his passion for real estate when he and Stacy were searching for a home of their own. Kevin loves a challenge, and sprung right into real estate when he acquired his real estate license in 2013. He has loved every minute of it. Kevin has an idiosyncratic ability to help others demonstrated by his relentless work ethic and drive. Kevin grasps the process of buying and selling homes exceptionally well based upon his own experience and incomparable attention to detail. He has successfully assisted countless satisfied clients through-out the stressful process of buying and selling residential properties and hopes to be able to help you someday as well. Kevin and Stacy have 1 son and 2 daughters between the two of them all 18 years and older. Kevin is very involved with his church and is thankful that he has discovered what life is truly about through it. Some hobbies that keep Kevin busy are Chartering and sailing Yachts, scuba diving and world travel. Brittany Wahl was born and raised in Mesa Arizona. She started working in a retirement home when she was 16 years old which is a reflection of her personality and passion to help those in need. She graduated from Heritage Academy with an Art Distinction, and moved on quickly to get her CNA License. She continued to work at the retirement home for another 4 years & she eventually became the Activities Director demonstrating her qualities in leadership and work ethic. She went to Culinary School at Scottsdale Community College where she made the Deans List multiple times. Brittany has always had a love for Real Estate. She joined our team in 2017 and works under the direction of our Sales Manager – Kevin Wilson as his Executive Sales Assistant. Her passion and knowledge continues to grow as she continues to work in the field. She is working on her goal to get her own Real Estate License & is very excited to start this new chapter in her life. She has 3 dogs who are her “fur babies” named Sammy, Oakley & Big Boy. 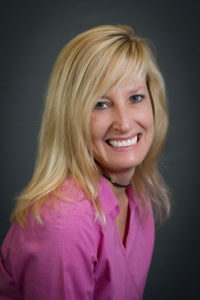 Karen brings over 20 years of experience in the sales/customer service industry. Karen earned her real estate license in 2009. She has focused her attention on rental homes for several years. Karen’s matchless capacity to help customers has launched her success in the property management industry. Karen carries an endearing passion for helping people. Her experience has helped propel our company and customer satisfaction. She has single handedly helped hundreds of customers find the perfect home. Karen has a divine talent for helping others feel comfortable and confident immediately when communicating with her on the phone, in person, or through email. Karen treats every person she comes into contact with as a person and not a number. She treats our rental properties as if they were her own. Her integrity is reflected in her ability to thoroughly screen prospective tenants which ultimately contributes towards maximizing the properties performance. Karens contagious personality, ambition, work ethic, and optimistic attitude enhances customer service by creating a stress free rental experience. When Karen isn’t processing applications and drafting leases, she likes to travel with her husband, spending time in their family cabin up north and loves to be called Grammy as she spoils her 3 grandkids. Kalee grew up in Snowflake Arizona. Kalee possesses a natural capacity to multi task and has a discerning business mindset. 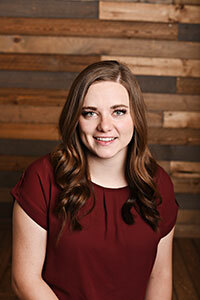 Kalee graduated with distinction with an Associates in Business at Northland Pioneer College and attended Arizona State University in Accountancy. Kalee further went on to earn her real estate license in 2011 which catapulted her career in real estate and property management. She co-owned and managed multiple companies in northeast Arizona before moving to Gilbert in 2012. Kalee’s infectious personality and relentless willingness to help others is felt by anyone who comes into contact with her. Her proficient and vast set of skills is unique in that she is highly qualified in all areas of real estate. Kalee’s “over-achieving” mentality has catapulted her career in real estate and property management. Her ability to manage so many tasks at once while improving service has significantly contributed in affording Brewer & Stratton the opportunity to experience such steady and healthy growth. Kalee gracefully manages all the accounting staff, and functions, including coordinating rental tax, owner disbursements, move out accounting, trust account reconciliation, human resources and oversees all lease renewals for Brewer & Stratton Property Management to ensure that our occupancy rate is maintained at the highest level. Kalee has an incomparable ability to solve problems and is meticulous about maintaining perfection. Her matchless attention to detail and willingness to help others enhances the overall service that Brewer & Stratton offers. Kalee enjoys traveling, history, fishing, reading, and especially being with her family and two new beautiful granddaughters. Kadee grew up in Gilbert Arizona and is the oldest of 5 kids. Kadee grew up playing sports and excelled in volleyball and softball. 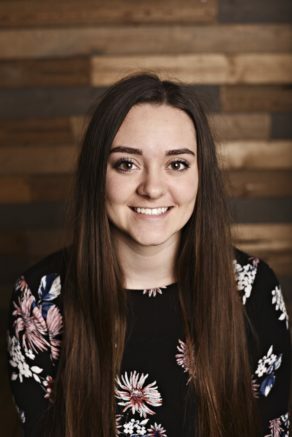 Kadee has recently returned from serving a mission for her church in Tampa Florida. Kadee grew to love the people of Tampa as she served them and says it was the best 18 months of her life. Kadee is excited to join the Brewer & Stratton team and learn more about property management. Elizabeth grew up in the White Mountains of Arizona moving several times before graduating high school, she has lived in the Mesa/Gilbert area since 2013. She is the second child of seven and loves being the oldest sister. 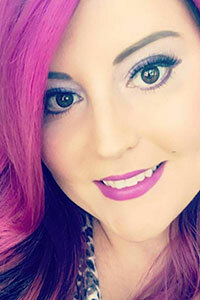 She graduated with distinction earning an Associates in Organizational Management from Mesa Community College and hopes to complete a Bachelors in Administration after completing her goal of obtaining a real estate license. Elizabeth and her husband have been married four years, and love to be outdoors and travel any chance they get. Together they make a conscious effort to serve in their church and community. Elizabeth is motivated and eager to learn new skills. She is caring and willing to go the extra mile. She is excited to have the opportunity to be apart of such a wonderful family here at Brewer & Stratton. Tracy grew up in Heber Arizona. She is a 5th. generation Arizonian! 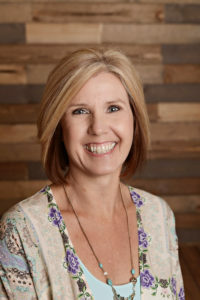 Tracy graduated from the University of Phoenix with a Bachelors Degree in Business Management and has over 20 years experience in the construction industry. Her lengthy experience is evidenced through her unmatched ability to multi task by managing contractors, communicate clearly, effectively supervise and oversee maintenance projects all while maintaining positive relationships with those around her. 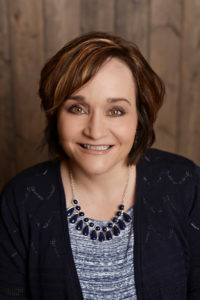 Tracy has a distinctive expertise in her ability to meet time constraints, supervise quality of workmanship, and negotiate competitive maintenance costs which ultimately result in faster tenant placement and maximizes the overall property’s performance. One of Tracy’s most admirable traits is revealed through her genuine desire to help others. Her matchless attention to detail and incessant drive has afforded our property managers the ability to confidently advertise vacant properties in tip-top shape, with accurate availability dates which helps them attract a higher quality more accountable tenant resulting in shorter vacancy time. Tracy enjoys the outdoors, reading, traveling, swimming and spending time with her family. She loves working at Brewer & Stratton LLC and enjoys meeting new people daily. 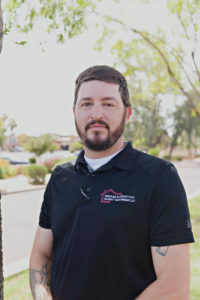 Gavin is an Arizona native and recently moved back to Gilbert after living in Las Vegas while attending the College of Southern Nevada where he obtained certifications in HVAC, electrical, plumbing, CPO, OSHA10 and CPR. Gavin feels serving a mission for his church in the Billings, Montana area helped him gain the confidence, organizational, time management and people skills needed to be successful in life. Gavin’s work experience in the construction and HVAC industry makes him a perfect fit as our Brewer & Stratton Maintenance Coordinator. Gavin enjoys being active, loves the outdoors, snowboarding spending time with family and his two kids. Noelle grew up in Mesa Arizona. Noelle is a 3rd generation Arizona State University graduate! Fork Em! Go Devils! :) After acquiring her real estate license in 2015, she jumped into the real estate and property management industry by joining Brewer & Stratton. Noelle is passionate about what she does because she loves meeting new people and helping others. She has a natural gift with organization, communication, and innovation. She has helped hundreds of satisfied customers sign up with Brewer & Stratton’s management services. Noelle loves being able to brag about her co-workers. She believes so strongly in the abilities and dedication of those she works with. Noelle’s favorite aspect about what she does is the fact that she gets to meet and talk to people from all over the Country and from other parts of the World. Every person she meets has a unique story and she enjoys getting to know them. Noelle is a textile artist and one of her favorite hobbies is dying fabric and fiber. She likes creating beautiful colors and patterns then using those materials for weaving, printing, or sculpture. Art gives her a way to connect to other people by sharing an expression of her own personal history. Jaimee is a native Arizonian and grew up in Mesa. After obtaining her Real Estate license in 2016, she came to work with her sister, Noelle at Brewer and Stratton Property Management. Jaimee loves working closely with her younger sister and you can often hear laughter coming from their office. She became a real estate agent because she possesses a passion for customer service and developing relationships with people. She can talk to anyone about anything and often does when she is out and about. Jaimee’s hobbies include writing poetry and short stories, gardening, reading, and playing the piano. She is an avid lover of all animals and owns zebra finches and a Russian Blue cat. She also enjoys traveling and has toured most of Central American studying the Mayan civilization through a BYU study program. Jaimee attended BYU Hawaii and longs to return to the Islands of Aloha to visit her favorite beaches. Meredith grew up in Utah. 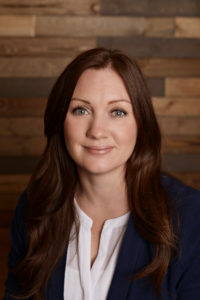 After re-locating to Arizona, Meredith earned her real estate license in 2016 and has significantly improved customer relations and service. Her contagious positive-energetic personality creates a fun and productive atmosphere. Meredith is passionate about helping others and has a natural ability to instantly brighten anyones day immediately after meeting her. Meredith’s desire to help others through her contagious personality and her ability to multi-task is is evidenced by the many hats she is able to wear. She handles rent collections, answering phones, coordinating staff meetings, office organization and supplies. 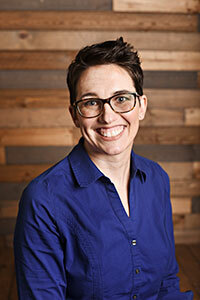 Her diverse set of skills significantly contributes to giving Brewer & Stratton an added edge! Meredith has a genuine desire to utilize her many skills in any capacity she can. Meredith is full of life, and has four amazing children who, along with her husband, keep her busy when she’s not in the office. She loves animals and nature! On the weekends you will find her scouring local thrift shops for old furniture to refinish. Joseph grew up in New York. 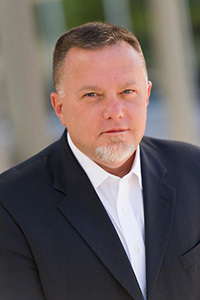 Shortly after re-located to Arizona in 1995, he worked in the construction industry which ultimately catapulted his career in the property management industry. Joe’s ability and skill level to effectively plan, schedule, identify and address maintenance issues, routinely inspect properties, and communicate with customers while also relaying accurate information to the staff at Brewer & Stratton has dramatically improved the overall customer experience and inspection process. Joe’s favorite aspect of his job is the fact that he gets to see every property and gets the meet the majority of our customers. Joe loves his family, swimming in the pool and walking his dog. John has lived in Arizona for the past 15 years. He has worked in multiple industries, however his strength is in construction. He decided to get into the property management industry in 2014. Johns set of acquired skills are apparent through the quality of workmanship he approaches any project with. 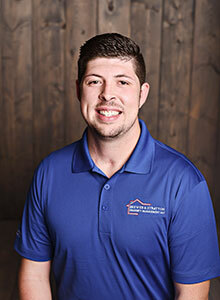 John has demonstrated his talents by helping reduce owners expenses through his ability to repair a wide variety of maintenance items on properties while also thoroughly inspecting the property. John’s favorite aspect of his job is the fact that he gets to see the city by inspecting properties and enjoys the satisfaction and fulfillment that comes when repairing a maintenance items on the property. He enjoys hunting, fishing and camping with his wife and 4 kids. He is always there to help others. Dustin was born in Manassas, VA but grew up in Tucson, AZ. He has lived in Canada, Texas, Kansas, and Virginia, which allowed him to pursue many different job experiences and gain a wide skill base in many different areas. Some of these jobs include, concrete foreman, sawmill operator, car salesman, car dealership owner, locksmith, railroad conductor, and partner in a general contracting company. He is a very dedicated worker and does not quit until the job is finished immaculately. He has a keen eye for detail and enjoys a quality finished product. He loves working with people and can find the humor in most things. Dustin joined the Brewer Stratton team in the summer of 2017 as an estimator and field technician. He is grateful to be part of a winning team and is excited to contribute to the success and quality they provide. When he is not at work, he loves spending quality time with his wife, Eleen, and four kids (Quincie, Kennedy, Joshua, and Kali). Some of his favorite things to do include, hiking, snorkeling, off-roading at the sand dunes, traveling to new places, and finding cool antiques. Colton has grown up in a variety of locations including Las Vegas Nevada, New Orleans Louisiana, and Memphis Tennessee. The opportunity to live in the midst of a plethera of cultures and meet a host of different people has given him the experience of a lifetime and allowed him to develop essential life skills. These experiences eventually led to His serving a full time mission for His church in Southeastern Idaho and Wyoming. Over the course of two years he found a new perspective on life and the confidence and know-how to begin his life in Arizona. The cumulative time spent in these various circumstances have helped him develop several characteristics that have allowed him to qualify as an inspector in the property management field. When Colton is not working he loves laughing with and spending time with those he loves. Stetson was born and raised in Mesa Arizona, his family are all Arizona Natives. He is the youngest of five children and the only boy. Stetson just completed a two year mission for The Church of Jesus Christ of Latter Day Saints, in the Bismarck North Dakota area. His mission gave him confidence and a new found work ethic. It has helped him develop un-precedented people skills and organization skills. Stetson is in the process of obtaining his real estate license to further catapult his career in the property management and real estate industry. Stetson enjoys basketball and being with his family in his spare time. Growing up in the beautiful town of Snowflake in the White Mountains of Arizona, Brett’s life revolved around sports, family, and the outdoors. He was athletic from a young age, and after graduating from high school, he played professional baseball with the Atlanta Braves. In 1996, he and his wife Nicki settled down, starting a family together, a family that would eventually grow to five children, four girls and one boy. 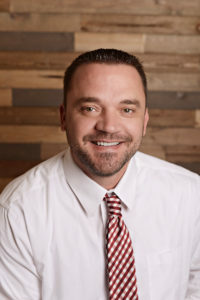 Brett started his first real estate business in 1998 and has seen the ups and downs of the Arizona market and understands what it takes to be successful during the highs and the lows of the real estate market. From the start, he has focused on investment real estate guiding his clients through the successful purchase and sale of hundreds of investment properties. He has extensive experience with property management, auctions, reos, and the mls. Along with his business partner Damon, Brett has pioneered a number of successful ventures, the main one was founding Brewer & Stratton Property Management in 2012. Brewer & Stratton has experienced explosive growth driven by innovation, hard work, and customer service. Brett firmly believes that the surest way to be successful is to surround yourself with people who push you to achieve your greatest potential. Damon grew up in the White Mountains of Arizona. 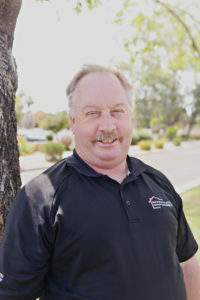 After relocating to Mesa Arizona in 2003, he began his real estate career as a home inspector. 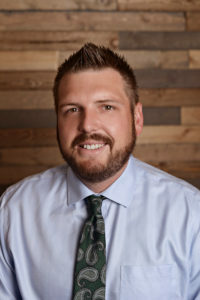 After acquiring his real estate license in 2004, Damon transitioned into the maintenance management aspect of the business and shortly after obtained his contractors license. In 2009, Damon acquired his real estate brokers license further catapulting his career in the industry. Damon’s passion for residential real estate is evident in his ambitious personality and desire to help others. Realizing the significance of progression in maintenance, for 8 years, he continued to exert his efforts towards improving the quality of workmanship, competitive costs, and quicker turn around time only recognizing that in turn, it would improve the investors profitability. Through-out Damon’s career, he has had the opportunity to work with some of the worlds largest investment groups, such as American Homes 4 Rent whom he helped spearhead acquisitions, maintenance rehabs, and property management for more than 800 homes in less than an 8 month time frame. Damon has gained invaluable experience and knowledge. Damon’s comprehensive approach to the Arizona real estate market soon forged the platform to propel Damon’s reach to the community. In 2012, With several business ventures underway, Damon and Brett decided to form Brewer & Stratton Property Management LLC bringing a lifelong dream to reality in creating what is now, one of Arizona’s leading management services. With a focus of residential properties, Stratton and his team offer tailored service to their clients. By dedicating themselves to phenomenal client service, and building a powerful team, Damon and Brett have paved the way for growth and success. 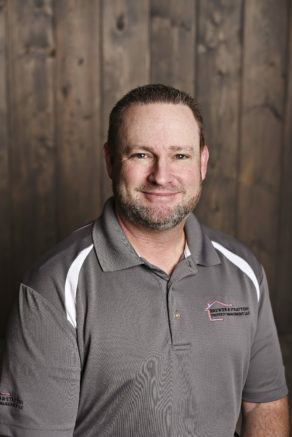 Damon is dedicated to providing an individualized service backed with integrity, and stands behind the quality and passion of everyone on his team. Damon’s loves his beautiful wife and son and are looking forward to having a sweet little girl. When Damon isn’t working, he is spending his time with his family. We manage hundreds of single-family homes, townhomes, and condos in the Phoenix Metro Area with over 20 years of experience. We are humbly confident that we are the best managers in Phoenix, Arizona. With our experience, state of the art software, our highly qualified and professional property managers, and owning our own personal investment properties, we believe that we provide a second to none service. Through our experience, we have come to an appreciation and clear understanding in reducing vacancy time, and the importance of thorough tenant screening and reducing maintenance expenses to maximize the investment. We enjoy working with investors and tenants and are passionate about real estate. We are structured for individualized service. We look forward to hearing from you and hopefully working with you soon! CALL TODAY FOR A FREE QUOTE AND ASK US ABOUT OUR “TENANT GUARANTEE” PROGRAM.